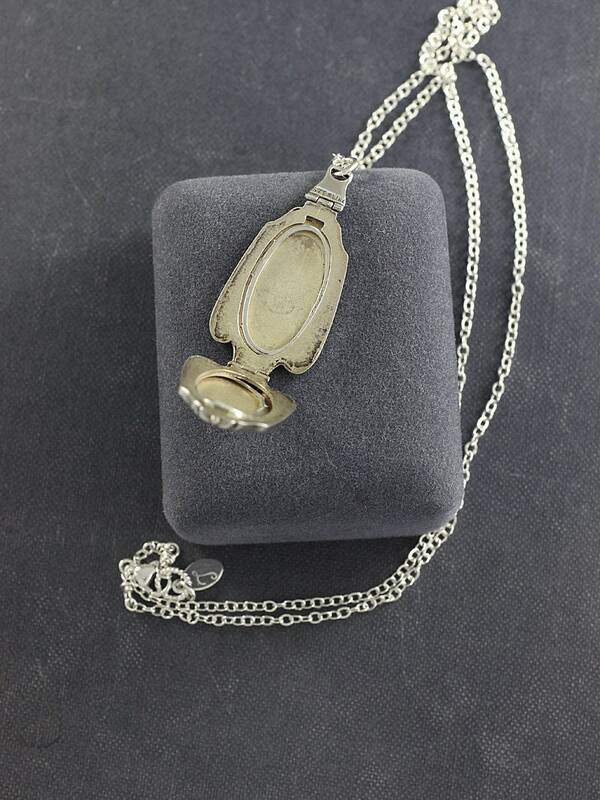 A gorgeous, rare sterling silver locket boasts the signature geometric motifs of the art deco era from the engravings to the shape of the locket itself. 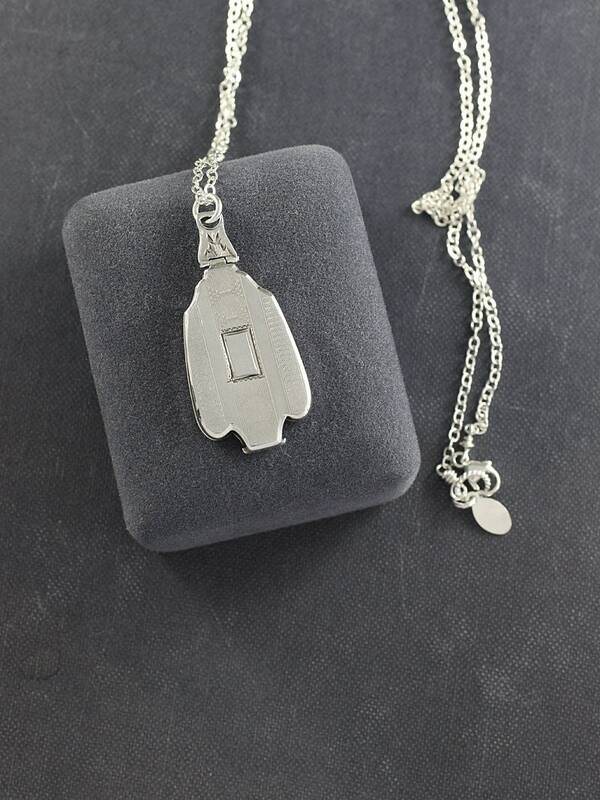 The locket opens from the back top down to reveal two removable frames waiting to hold your beloved photographs. 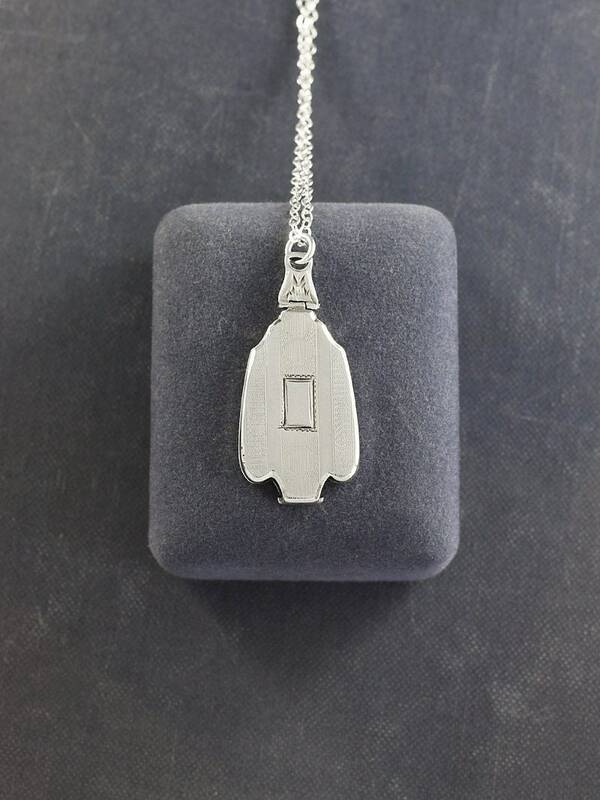 The interior has been gilded giving it a slight golden hue. 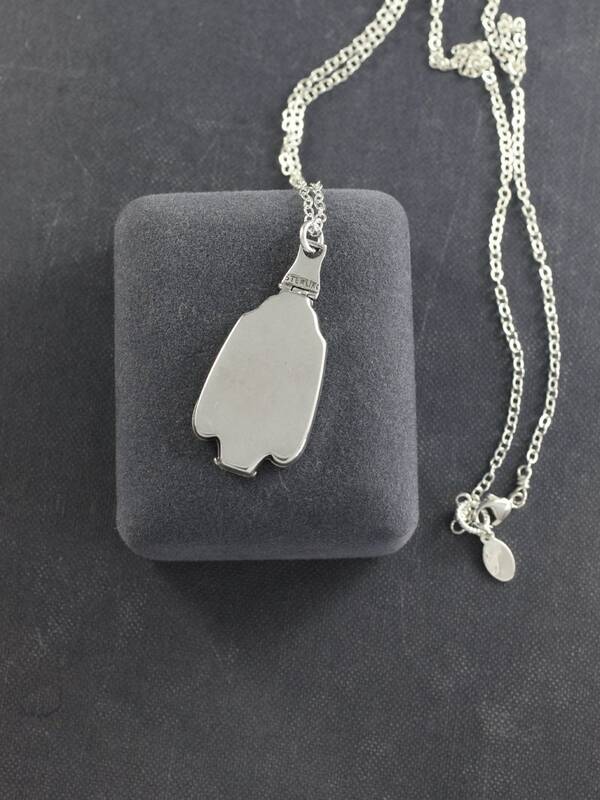 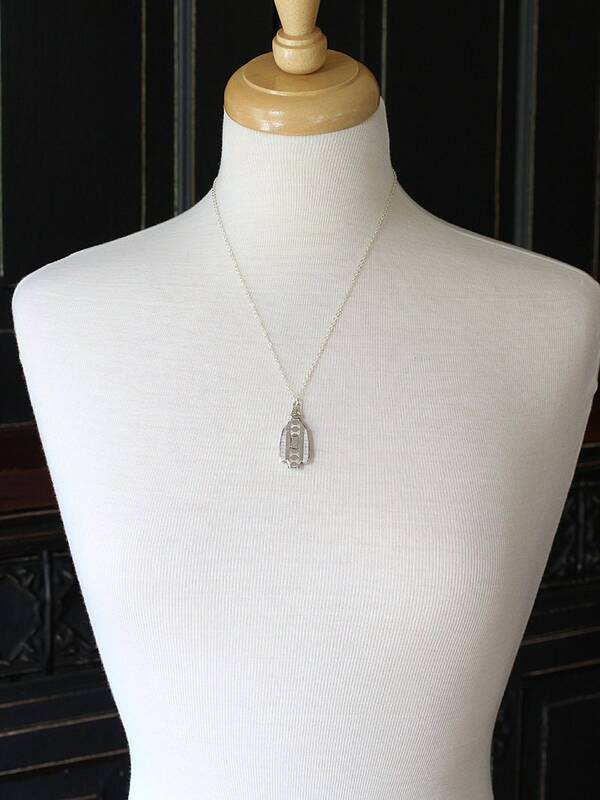 The pendant is set on a new sterling silver chain hand finished with a trigger clasp.